Featuring fast and simple installation and control they are powered by the fire panel via the loop wiring. Control of the devices is enabled using on-board switches or via the control panel. 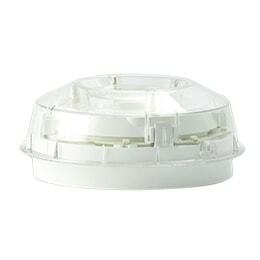 The range is installed simply by a twist fit onto the B501AP base. The Opal wall/celing mount VAD is a high quality loop powered device which when triggered by the fire panel emits an intense light to give a visible warning to building occupants.